Why Going to the Gym and Not Having a Workout is Good For You. Especially during the day when at work! Say what!?!?! I hear you say. 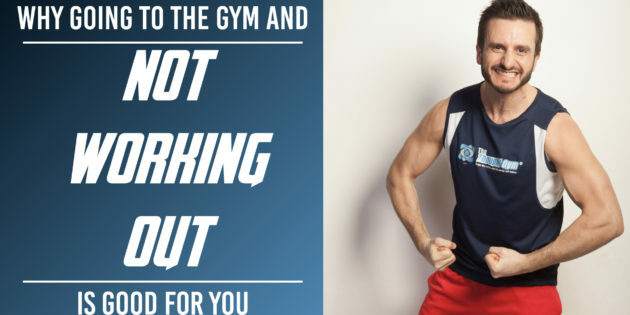 How can going to the gym and not having a workout be good for you? Listen, I get it. I had the same excuse. TIME. Sometimes, during the working day you have all the good intentions in the world to go to the gym and then your boss pulls that meeting forward half an hour, meaning that sold hour you had to nip to the gym, change, get in the bit of training and then shower and head back is now gone. It’s only 30 minutes. Barely enough time to get there and back and change. And while I could sit back and say “oh well”, the intentions were there. That doesn’t mean squat. You’ve still done nothing. So why is going regardless a good idea. We spend the time forming the good habits but they can get derailed very quickly. A couple of slip-ups like this and you’ll find them happening more and more. Sure, you could – if you wanted the exercise – go for a nice brisk 30 minute walk. And sometimes I did just that. But I realised something when I started going to the gym and pretty much 10 minutes later heading back again. It helps wire the brain the right way. They say that “neurons the fire together, wire together”, which basically means that repeated behaviours together will get associated. If you go to the gym – regardless of how much time you can actually spend in there – your brain will start to get wired to know that at lunchtime (or whatever) it’s time to go. This next part depends on the facilities you have, but this is what I did. Firstly – ALWAYS have a swim kit at the ready in the bag (assuming your place has a pool/spa area – it might not, I accept that. In which case, don’t bother with the swim kit!). When you have the trunks/cozzie at the ready, and you find yourself with only enough time to get there change and do 5 – 10 minutes, head to the sauna or steam room. Again, if you don’t have one, head to the gym floor and do some stretches, or focus on one area that you can do intensely for 5 minutes e.g. rowing. I prefer the sauna/steam room as it relaxes me in the middle of the day, it’s helps boost the metabolism and raises the heart rate. It also clears the skin and sinuses well. It really feels like the trip was worth it too as most people spend 10 minutes max in those things, so it won’t feel like a wasted trip. The point is though that you are creating new neuro-associations. You are sticking with the habit of going there, when it’s often easier just to sack it off for that day and go to lunch with your friends. The break from working environment and activities around work will give your brain a much needed stimulus for the afternoon too. I know it’s a challenge for some, but just do it for the next month. Whenever you think you don’t have time for a full workout – go anyway. What do you think? Have you tried this before? Do you agree or disagree? Post a comment below.